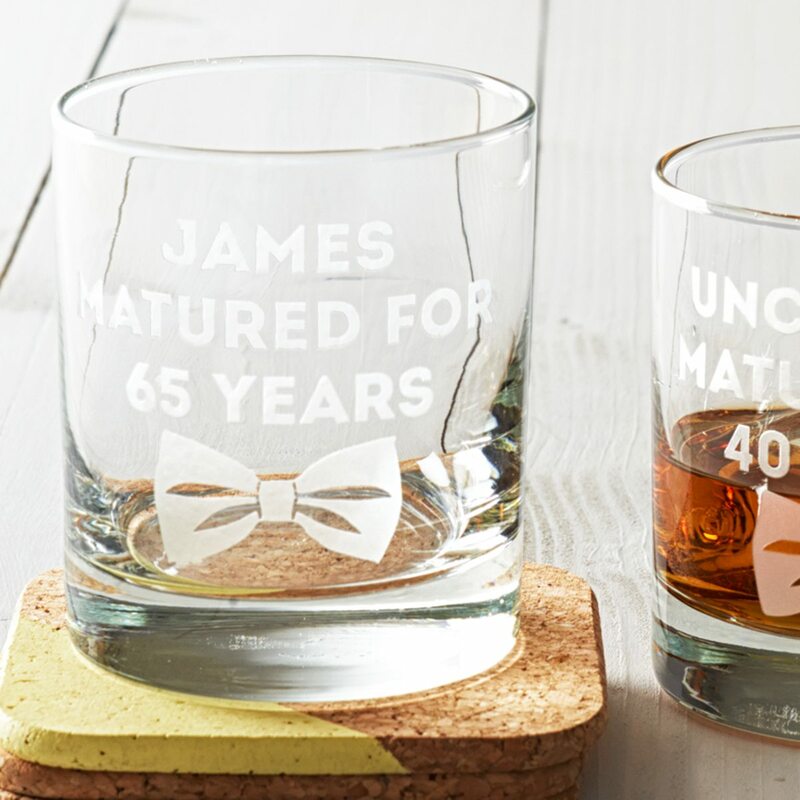 This whisky glass, with its witty reference to age, makes it a perfect birthday gift. You can create a truly thoughtful, memorable gift by adding the name of your choice. The cheeky design will definitely raise a smile every time the glass is used. 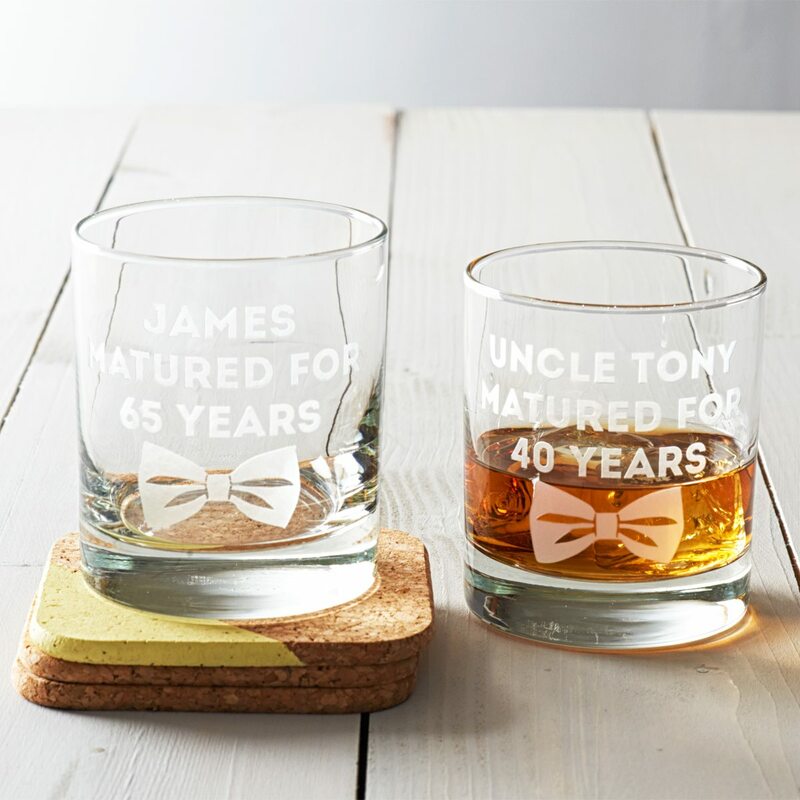 The design features the words ‘___________ MATURED FOR ___ YEARS’ with a dickie bow motif so it is perfect for a birthday present. You can add the name and number of your choice to create a truly personal and memorable gift. You can enter up to eleven characters for the name, for example, UNCLE TONY and up to 3 characters for the number of years, for example, 40. Please fill in the personalisation box with the name and number of your choice. Please note that the age should be in numbers, for example, 40, not words, for example, FORTY. Each glass is hand etched in our studio in Liverpool. We create a mask with your personalisation and carefully etch the surface of the glass by hand. As each glass is hand etched to order, there may be slight variations, this only adds to the unique nature of this product.